The nine lives of the Spanish Prisoner, the treasure-dangling scam that has been around for centuries. The swindle came to be known as the “Spanish Prisoner” because, often, the letter writer claimed to be holed up in a Spanish jail, for reasons arising from the Spanish-American War. “The letter is written on thin, blue, cross-lined paper, such as is used for foreign letters, and is written as fairly well-educated foreigners write English, with a word misspelled here and there, and an occasional foreign idiom,” the 118-year-old Times story notes. And, yet, still, people fall for it, since the conceit of the scam isn’t that it will work every time, or even one out of a hundred times. You only need a few suckers, in other words, to make millions. One victim in the U.S. lost $5.6 million to scammers. The recently arrested Nigerian spam kingpin was said to have hauled in around $60 million in ill-gotten gains. 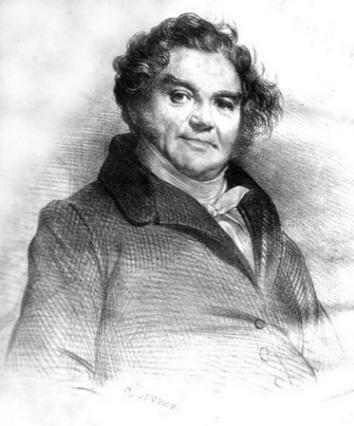 Eugène François Vidocq, the father of modern criminology. Fast forward nearly 200 years to the 1980s, when scammers in Nigeria began to send reams of paper letters to people across the world. By the 1990s, they used fax machines and, by the late 1990s, had switched to email. Which means that, in 2116, when you receive a holographic message of doubtful provenance promising hidden riches in exchange for a few thousand dollars upfront, don’t do it. It’s been tried before.